Voice broadcast technology includes the computer systems, telephony components, systems software and supporting call management software. The voice broadcast application software is the final component that is the custom technology which manages each specific voice broadcast campaign. 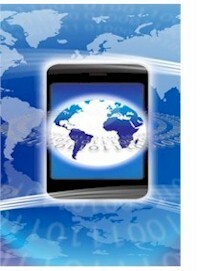 Database Systems Corp. (DSC) is a leading provider of call processing solutions and voice broadcasting technology. Voice broadcast systems are computer phone systems that send voice messages to hundreds or thousands of call recipients at once. Voice Broadcast Platform - Includes an Intel processor with cabinetry to support either digital or analogy phone cards. This system runs a Windows Operating System. Dialogic Telephony Cards - Computer telephony boards from Dialogic. These cards support multiple analog or digital phone lines and control the switching process while providing call status and progress analysis. Voice Broadcast Software - High level software that assemble the Dialogic functions into a voice broadcast control program. This includes the management programs as well as the operational libraries that control the voice broadcast applications. Contact DSC to learn more about our voice broadcast technology products and services. Subaru of America, Inc. is a wholly owned subsidiary of Fuji Heavy Industries Ltd. of Japan. Subaru utilizes Our voice broadcasting services at Database Systems Corp. to update both field sales force personnel and automobile dealerships. Messages are sent containing information regarding product updates and promotional guidance. To deliver phone applications and services, DSC employs the latest voice broadcast technology. This includes voice broadcast phone systems and software solutions. Database Systems Corp. voice broadcast systems are Intel PC based phone systems that incorporate Windows OS with computer telephony (CTI) boards from Dialogic. DSC has developed two lines of voice broadcasting systems - the WIZARD analog and the PACER digital series. These systems are provided to our clients who wish to purchase their own system. They are also used exclusively at our own call centers for processing inbound call applications. DSC provides a comprehensive voice broadcast software solution and call processing environment. This includes the DSC IVR software library of routines that can be called using most modern computer languages. Our voice broadcast software uses voice recorded prompts and menus to present information to callers. Touch-tone telephone keypad entries are gathered from the caller to collect information and to provide navigation through simple to complex menu structures. The voice broadcasting software provides information back to the caller in the form recorded messages or data converted using text to speech. The software can also route the caller to an agent or transfer the call to an outside phone number or extension. DSC also provides voice broadcast XML software that can initiate a voice broadcast automatically from another computer system or website. Contact Us Today to learn more about our voice broadcast technology including our phone systems, software and hosted voice broadcasting services.